You'll need to dig into Edge's Settings to turn it on, though. 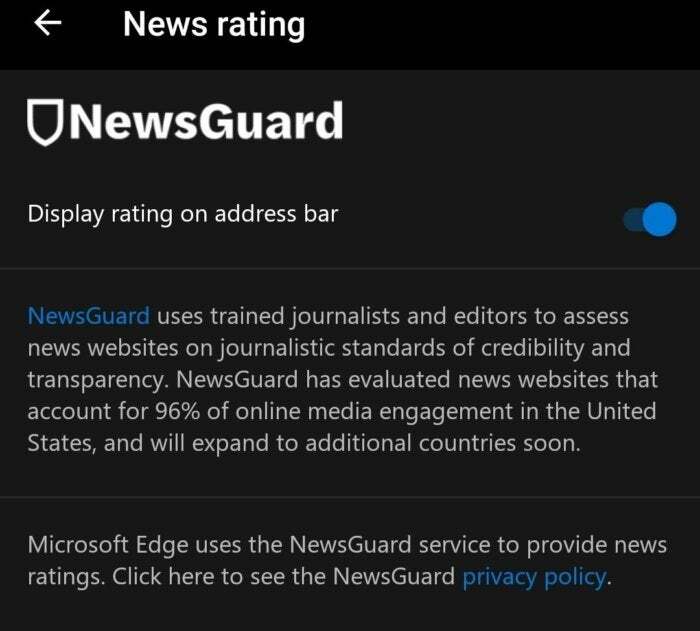 In a bid to fight fake news read while on your phone, Microsoft’s mobile Edge browser on Android and iOS now includes the NewsGuard extension. NewsGuard isn’t there to protect you from phishing or to alert you that the site may be hosting a bad ad that may infect your phone. Instead, it’s there as a sort of anti-malware for your mind. Clicking on the shield brings up a summary of how NewsGuard sees the site, from a responsible presenter of information, to correcting errors quickly, to clearly labeling ads. 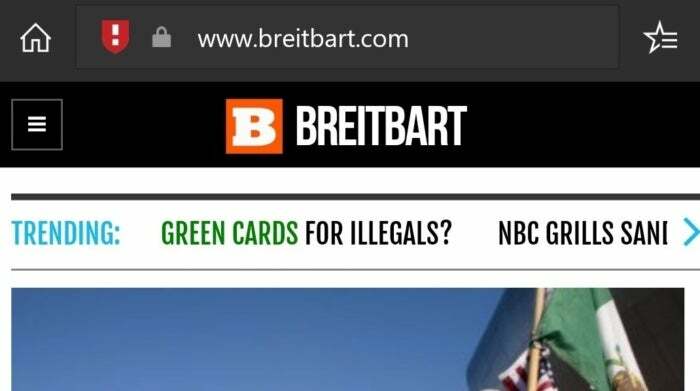 In certain cases, sites will be given a green shield but NewsGuard will flag problems that won’t be revealed unless you click on the shield. 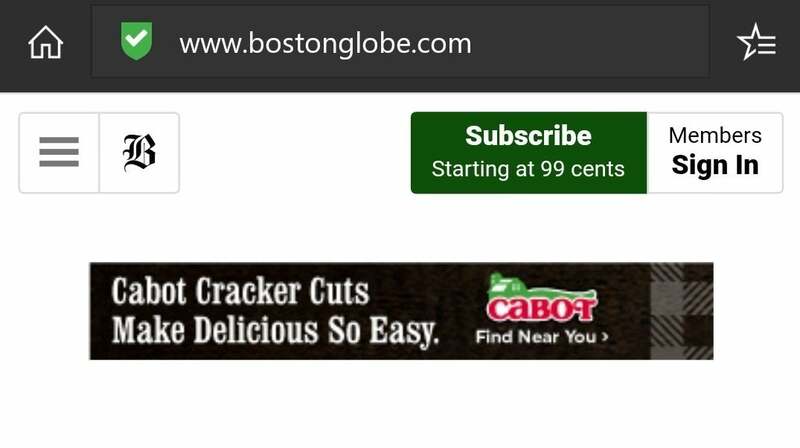 Within the mobile browser, though, NewsGuard is off by default. You’ll need to go into the Settings menu, scroll down to News rating, and then toggle on NewsGuard. Note that Edge also has a built-in relationship with Adblock Plus, which you can toggle on under Content blockers. 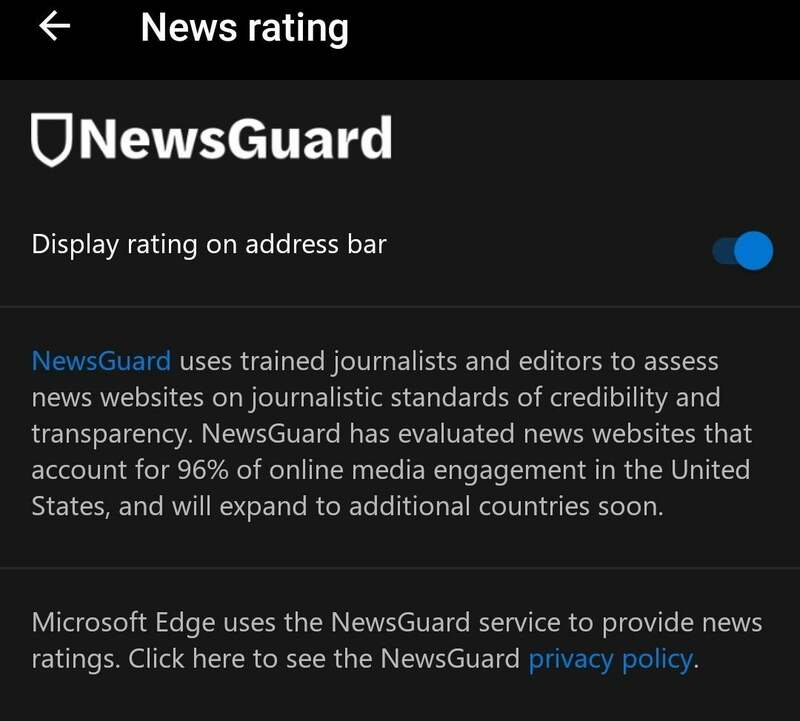 You’ll need to enter the Edge settings to toggle NewsGuard on. What this means for you: The problem is that the only way to enable this on your phone is to download Edge manually, access the Settings, turn on the feature, and enable Edge as your default browser, rather than the default Chrome (or Safari) browser—which is what probably 99 percent of all users already have configured. That’s a lot of steps to help stop your crazy uncle from forwarding the latest viral news story that Barack Obama was born on Venus. But every little bit counts, right?